Between the La Tuna brush fire in the Verdugo Mountains becoming the largest ever fire in the city of Los Angeles, Hurricane Harvey bringing mass destruction and flooding to Texas, Hurricane Irma ripping through the U.S. Virgin Islands, Puerto Rico and headed straight to Florida, Hurricane Jose gaining strength in the Atlantic Ocean, Hurricane Katina meandering in the Gulf of Mexico, Hurricane Maria hitting the Caribbean right after Irma did, and the wildfires in Montana, it’s safe to say that businesses all across the United States and Mexico are in a panic this September. One of the major concerns of businesses, aside from the safety of their family members, friends and employees, is how they will be able to keep operations up and running during evacuations. 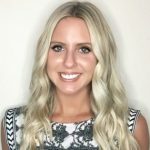 With little time to prepare, businesses are being forced to board up their windows and evacuate, resulting in a loss of sales, reduced workforce and customer service issues. 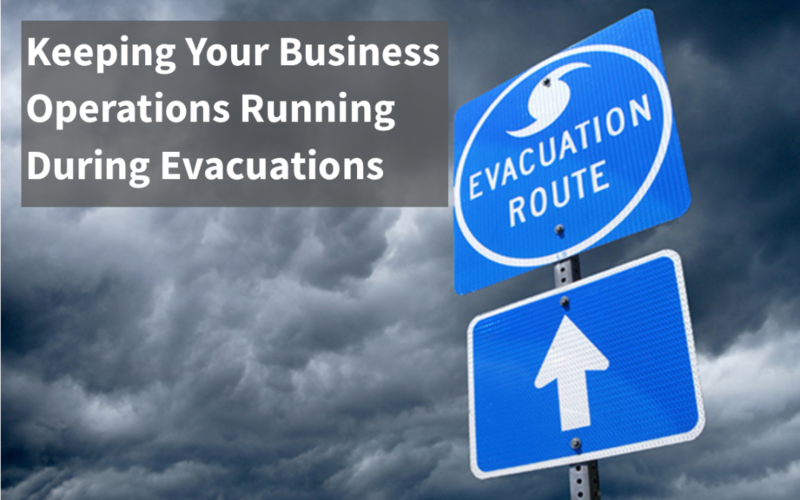 Many companies are finding themselves perplexed at how to avoid those issues during evacuations not only for evacuations occurring right now, but in the future as well. For businesses such as grocery stores and car repair shops, working from home is not an option, however many offices do have that luxury. By implementing a work from home policy so that in the event of emergencies, such as hurricane and wildfire evacuations, employees will be able to keep up with at least some of their work remotely. Employees who take refuge at shelters might find it difficult to work at the shelter with the people and noise. Others might choose not to evacuate and remain in their homes, running the risk of downed powerlines, preventing internet access. While some employees might not be able to utilize the work from home policy to its fullest potential during evacuations, having a handful of employees working is better than no employees working. Implementing a work from home policy is one of the best ways to keep business operations running during stressful evacuations. During evacuations, having a good communication system is key. Without the ability to communicate with employees who are planning to evacuate or are planning stay in their homes during evacuations, it’s almost impossible for business operations to return to normal quickly after the evacuation period has been lifted, let alone during the evacuations. By implementing an emergency notification system, such as the one offered by Preparis, you will be able to send out notifications to keep employees in the loop and also ensure that they are safe throughout the entire evacuation process. In addition to implementing a work from home policy and ensuring that you are able to quickly communicate with employees, having a plan in place and training employees on how to handle wildfires, hurricanes, floods, and other incidents that might require evacuation is the best way to ensure that everyone is prepared for no only their own sake, but the sake of the business as well. Preparis offers not only training, advice, plan creation and management, as well as an emergency notification system designed to ensure the safety of your employees and business. To learn more about the services Preparis offers, click here.